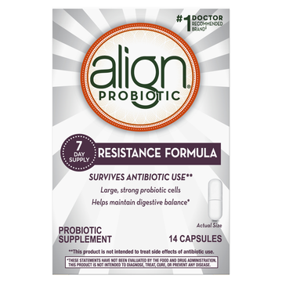 Ingredients: Bacillus Coagulans Unique IS2 (Provides an Effective Level of Bacteria (1 Billion CFU) at Time of Manufacture). Other Ingredients: Water, Sucrose, Less than 2% of: Pectin, Natural Flavors, Citric Acid, Sodium Citrate, Color (Black Carrot, Annatto, Genipap Juice Concentrate, Watermelon Juice Concentrate), Coconut Oil, Carnauba Wax, Corn Starch. Instructions: Adults 12 and over chew 2 gummies. Take up to two serving per day. Reduce daily dosage if temporary gas or bloating occurs. For best result, take Align Gummies daily, like other vitamins or supplements. Store at room temperature. Is this for kids as wel? 6,7 year olds? 1. No, this is not a child-specific supplement.